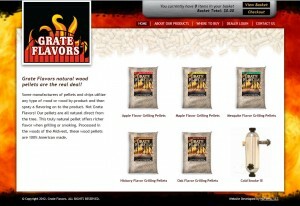 Grate Flavors is a manufacturer of pellets and chips for use in grills or smokers. Some manufacturers use any type of wood or wood by-product and then spray a flavoring on to the product. Grate Flavors does not. They utilize pellets all natural direct from the tree to offer richer flavor when grilling or smoking. Processed in the woods of the Midwest, these wood pellets are 100% American made. One advantage to grate flavors their pellets need not be soaked before use. They are a time saving product that can be directly applied to the grill. 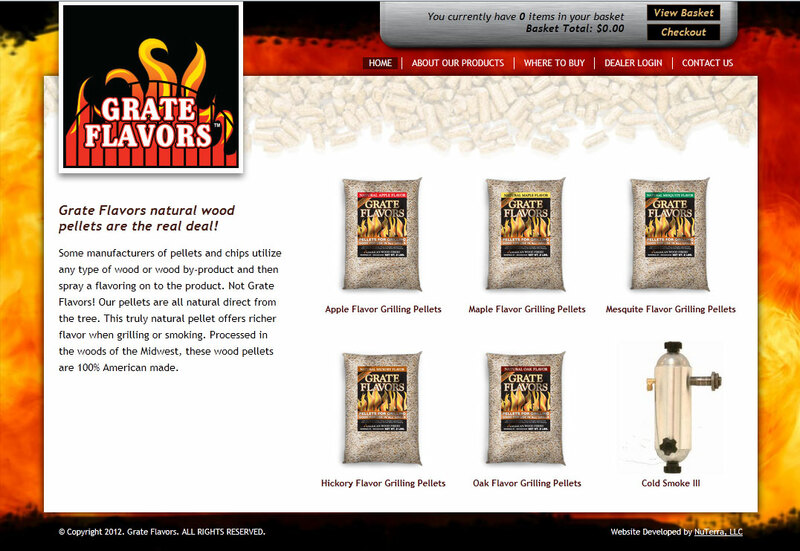 The recently developed website features the latest in smoking products; including cold smoke generators and a variety of flavors including apple, maple, mesquite, hickory and more. NuTerra, LLC is a 15-year-old Internet development company specializing in web applications that are unique to each individual business. NuTerra is based on the premise that because every business has a unique way to work, subsequently, the online reflection of that company should be the same.